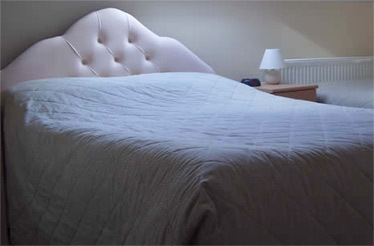 Welcome to Evening Hill bed and breakfast, a traditional English bed and breakfast in the heart of the Wiltshire countryside just 2 miles south of the medieval city of Salisbury on the A354 in the quiet village of Coombe Bissett. Our Bed and Breakfast has three guest rooms. Two guest rooms are situated on the ground floor and one guest room is situated upstairs with en-suite and private facilities. Freshly cooked breakfasts chosen from menu with home made bread jams and marmalade served in the conservatory looking out over the garden. Evening Hill Bed and Breakfast is an ideal location to visit Salisbury city, Salisbury Cathedral, Old Sarum, Stonehenge and it's secret sister Woodhenge and the The New Forest national park. As Salisbury is less then 2 hours from Heathrow/Gatwick airports we are are great Bed and Breakfast stop off on the way to visit the south and the West Country. Access report available on request.